Incentive tourism is an effective way for gathering the team. Incentive programs – is the especial instance where usefulness united with pleasure. 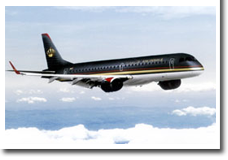 Our company offers various options for incentive programs in Jordan. Opportunities for incentive travel in Jordan are truly inexhaustible. If you are successful, purposeful people, loving risk, take pleasure in fascinating travel to Jordan with a friendly team of like-minded people and colleagues. Jordan will seek to provide a high level of comfort during conferences and business meetings. Luxury hotels offer fully-equipped rooms for conferences and banquets with qualified personnel. Hotels also offer a full range of support services that guarantee success to any held event despite of its scale. Arrival at the airport of Amman. Meeting with representatives our company and guides. Assistance in visas registration and obtaining baggage, transfer to the hotel Amman, welcome drinks and check-in, diner at the hotel. After breakfast at the hotel, you will get acquainted with the capital of Jordan, a beautiful city of Amman-a unique mixture of ancient and modern, with a unique location between the desert and fertile parts of Jordan River valley. In the sightseeing tour, you will see modern buildings, hotels, restaurants, galleries, traditional coffee shops, handicraft workshops and souvenir shops. After, your visit to the ancient city of Jerash, which is the second most visited place among tourists after Petra. Under the Greco-roman shell Jerash stores exquisite blend of eastern and western cultures. In its architecture, religions and languages were traces of collisions and the interaction between the two great cultures - the Greco-roman culture of the Mediterranean and the traditions of the Arab east. At the Hippodrome you will watch the show of "the Roman war arts and chariot races." 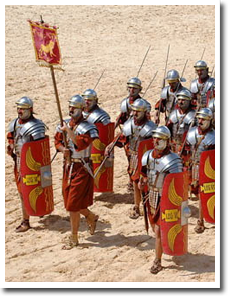 During the show you will see a forty-five legionaries in full battle gear, demonstrating the military and combat training, ten gladiators, suffering "to the death", as well as several of the roman chariots, competing in the classic race on the seven circles. After this bright show, you will have the opportunity to relax and take a rest in the best bath in Amman. You can go for a swim, take a steam bath, or have a massage. The oriental baths style, music, hookahs - all this will provide a relaxation and tension release. Feel like a sultan!!! In the evening dinner in a national restaurant. 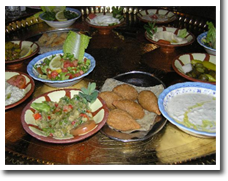 Here you can perfectly spend time and have a very good impression from the wonderful Jordan cuisine! Dinner will include a number of necessarily succulent snacks, called "mezze", the national dish consists of lamb with rice and nuts in addition to the sauce made from the local yoghurt, kebab of all kinds, cooked on fire. And of course the traditional cup of mint tea or coffee with cardamom. After breakfast at the hotel, you will visit the greatest Christian Holy places - a place on the East bank of the Jordan River, where once the prophet John the Baptist baptized Jesus Christ. This place is executes the deepest spiritual meaning for the visitors here from all over the world. After, you will drive to the Dead Sea. The Surface of the Dead Sea is below the World ocean level and it is the lowest point on earth. Increased evaporation, determines the extreme density of the water, swimming in the Dead Sea is very beneficial for the health beside that, it is incomparable pleasure! Here, everyone seemed to float over the smooth surface of the sea, drowning is not possible - just enough to keep your head above water. Even a short stay on the coast will allow you to get pleasure from swimming in the waters of the Dead Sea and to appreciate the curative properties of the mud applications. 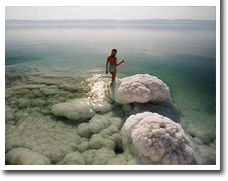 The air itself which you breathe in the Dead Sea is perfectly pure, free of substances that cause allergies, and full of bromine, that provides a calming effect on the nervous system. You will have unforgettable impressions of this unique corner of nature. Accommodation will be in a hotel in the Dead Sea. 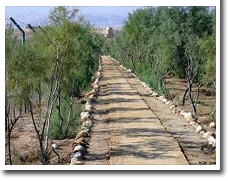 After breakfast, you will experience a fascinating trip to the Mujib nature reserve, one of the seven natural reserves of Jordan, rich variety of flora and fauna in the lowest reserve on earth. In this trip you will be wearing a lifejacket. In the reserve there are five main tourist routes of different degrees of complexity, but they all refer to the most fascinating and interesting places in the country. You will be able to acquaint closely with the life of the reserve as well as swimming and climbing the ropes. 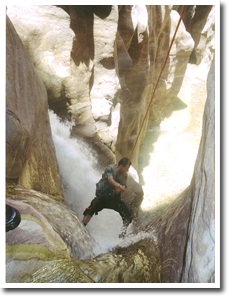 For those who love nature and adventure, a walk in the paths of Wadi Mujib that will provide the possibility to check the strength of your body and your will power! Finally, Return to the hotel on the Dead Sea. After breakfast, you will be leading your way to Petra – one of the world wonders. Hearts of adventure–lovers freeze in anticipation of miracle when they hear the word "Petra", and no matter how writers and poets tried to convey the uniqueness of this place, no one would be able to explain what makes everyone come here feel admiration. 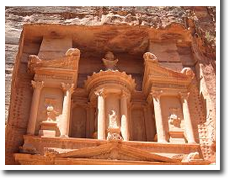 There are many legends about the incredible treasures of Petra. Petra had flourished for many centuries, these treasures could not be found and no one has ever seen, that the legendary treasure were exported somewhere either. Petra keeps its secrets, and maybe will be lucky to have a chance to search for that treasure! 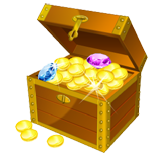 We will have not just a tour of Petra, but also a fascinating competition between two teams and the victory will belong to the one who will solve the mystery of "treasure map" and find the treasures! While you will search for the" treasures" You can see a lot of interesting curiosities, enjoy the beauty of the amazing rocks of Petra, their colorful and bizarre forms. After visiting Petra, you will be leading to Aqaba. Accommodation at hotel on the Red Sea. Free day in Aqaba. 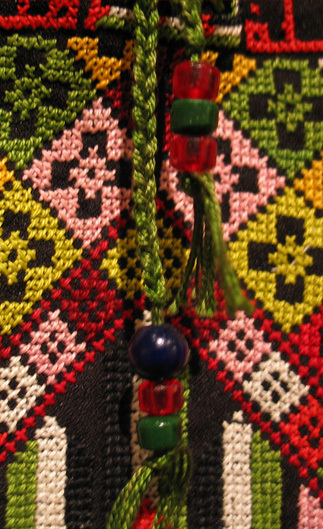 It's a small world, where all the goods of Jordan are collected-closeness of the unique monuments of history, great hotels, amazing possibilities for shopping and hospitable, friendly people. But the main attraction of Aqaba is the Red sea. You can make scuba diving, snorkel, dive in the open sea and see the sunset under the boat sail. 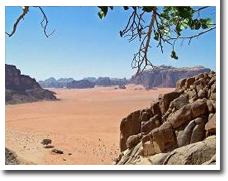 After breakfast, you will visit the desert of Wadi rum, the landscapes of which are not comparable with anything for its picturesque scenery and deep colors, and it is often called the Lunar valley. 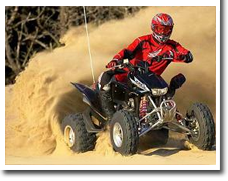 Here we offer you a fascinating trip on ATV buggies in the desert. You will lead you way to the source of Lawrence of Arabia, drive to the mountain, known under the name "the seven pillars of wisdom", have a look at the ancient rock drawings and take a ride on the beautiful sandy dunes. In the evening - Gala dinner at the hotel, memorable gifts to all the participants of the group. After breakfast, transfer to the airport of the city of Amman. Farewell with a representative of the host company.